Marceline, MO - On Monday March 4, 2019, the City of Marceline in conjunction with the City of Brookfield and Public Water Supply District Number 3 will be making its ANNUAL CHANGE FROM CHLORAMINES TO CHLORINE. Every year, the Cities of Marceline, Brookfield and Public Water Supply District Number 3 (PWSD # 3) implement an annual flushing program. Public Utilities employees will flush the water mains by opening fire hydrants and allowing them to flow freely for a short period of time. The flushing cleans out sediment and allows routine maintenance of the fire hydrants. Flushing may result in some discoloration and the presence of sediment in your water. These conditions are not harmful and should be of short duration. During this period of time, a slight change is made in the water treatment process to facilitate an effective flushing program. Throughout the year, chloramines, or combined chlorine, are added to the water as the primary disinfectant. During the flushing program, chlorine is added in an uncombined state, commonly referred to as free chlorine. Free chlorine is somewhat more volatile than combined chlorine, providing exceptional availability to react with sediments suspended during flushing. The Cities of Marceline and Brookfield will use free chlorine as the primary disinfectant from March 4 - April 7, 2019. Depending on your location within the distribution system and usage patterns, it could take up to a week for your drinking water to transition from combined chlorine to free chlorine at the beginning of the flushing program. The annual change from chloramines to chlorine for this brief period is required by the Missouri Department of Natural Resources. 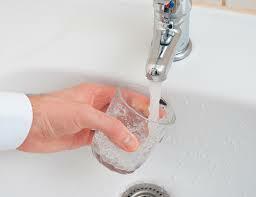 You may notice a chlorine taste and odor in your drinking water while free chlorine is utilized. If you are especially sensitive to the taste and odor of chlorine, try keeping an open container of drinking water in your refrigerator. This will enable the chlorine to dissipate thus reducing the chlorine taste. Remember - drinking water has a shelf life! Change out the water in your refrigerated container weekly. Please note, if you have an aquarium or pond always test the water you add to your aquatic environment to be sure it is free of any chlorine before adding fish or other animals. Chemical additives with directions for removing either free chlorine or chloramines from water for use in fish tanks or ponds are available at pet/fish supply stores. If you have any questions or concerns regarding this process please contact the Marceline Water Department at (660) 376-0700 or in Brookfield Water Department at (660) 258-7442 or your local water provider.